what an easy cookie if it’s made ahead time . this is a great recipe to make ahead of time and just cut off a slice and bake when you have a cookies craving or even the grandkids come over with out notice . Thats okay because you have that premade cookie dough in the refrigerator. all you have to do is slice, bake and make great memory . add the egg and mix in the bowl until smooth. Gradually stir in the flour until evenly blended. Gather the dough into a ball, and divide into two equal parts. Place one half in a second bowl. 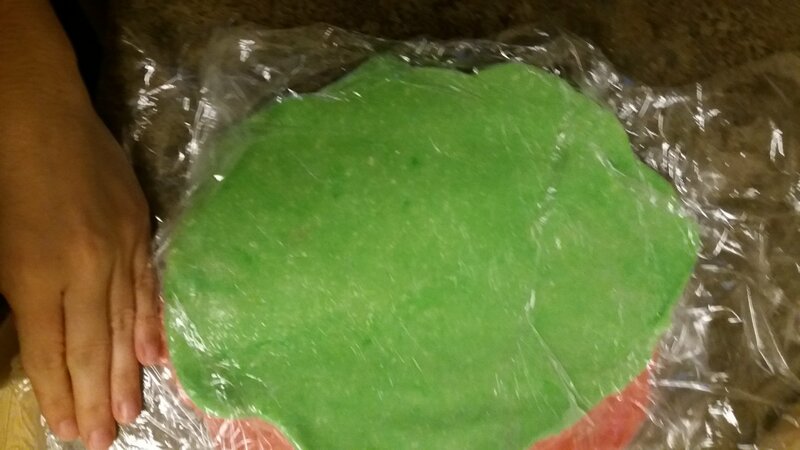 Add red food coloring to the dough in one bowl, and green food coloring to the dough in the other bowl. 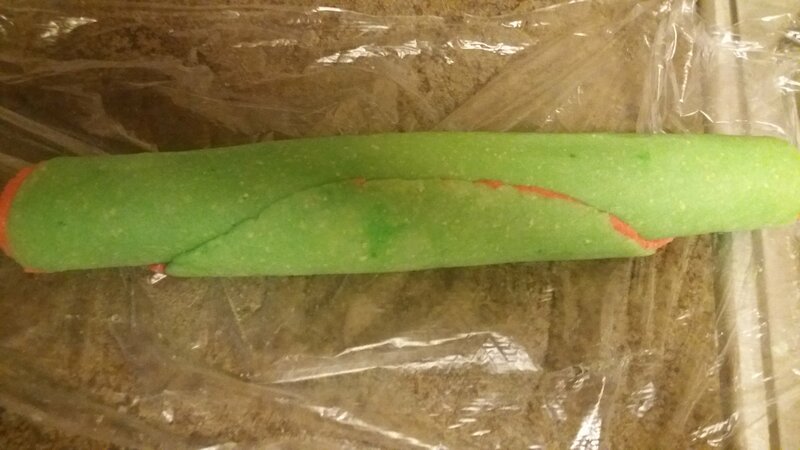 Use a fork or wooden spoon to blend the food coloring into the dough until evenly blended. Add additional drops of food coloring to make the desired shade. 3. Roll out the red dough to 1/4 inch (5mm) thickness. 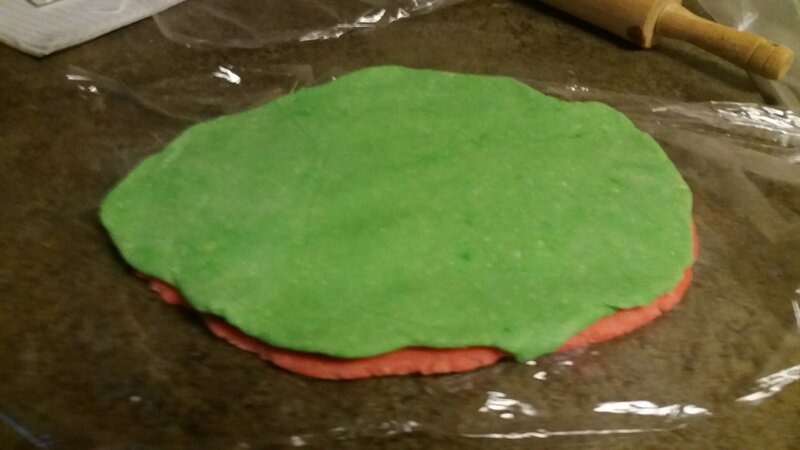 Roll out the green dough to 1/4 inch (5mm) thickness, and place on top of the red dough. 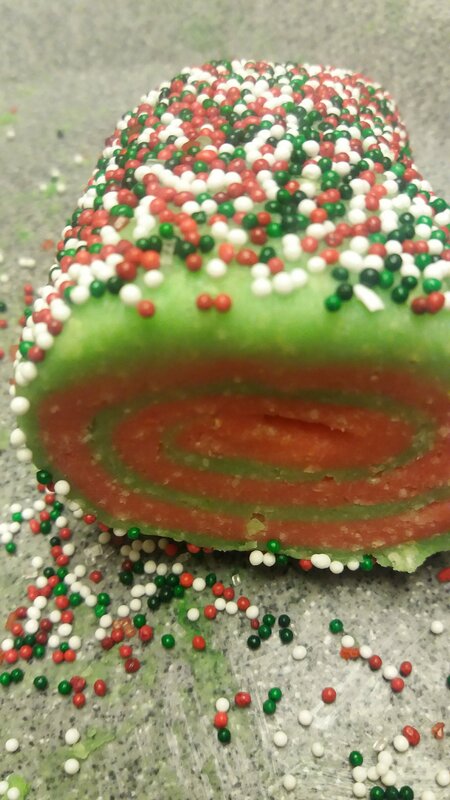 Beginning on one edge, roll the dough to make a log so the two colors spiral inside each other. 6. Preheat oven to 400 degrees F (200 degrees C). Lightly grease 2 baking sheets. Unwrap the dough log, and place on a clean, lightly floured surface. Slice the log into rounds 1/8 inch (3 mm) thick, and place on prepared baking sheets. 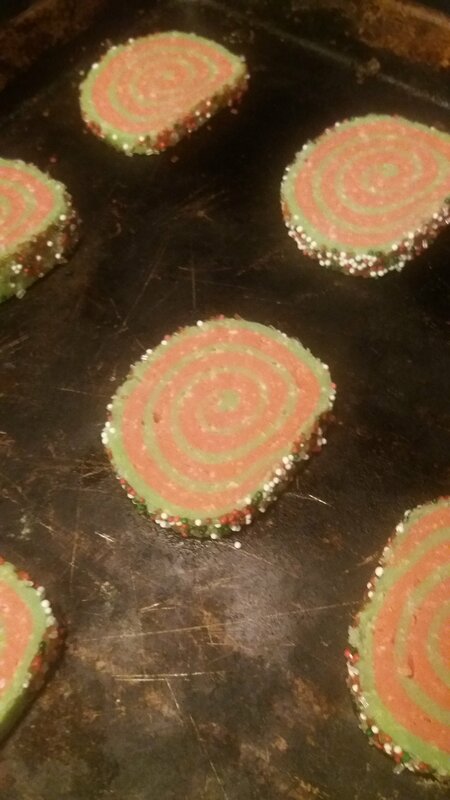 To make the pin wheel cookies in a vanilla and chocolate combination, divide the dough into two parts. add 1/4 cup unsweetened baking cocoa mix the chocolate into one half of the dough until well blended. Roll out the doughs as in Step 3 to make a log with the plain and chocolate doughs. Follow Steps 4, 5 and 6 to complete the cookies.